Oak Grove resident Johnny Maitland, 14, a freshmen at La Salle Prep in unincorporated Milwaukie, placed first at the American Water Ski Association Western Regional Water Ski Championships on July 26 in Colorado. 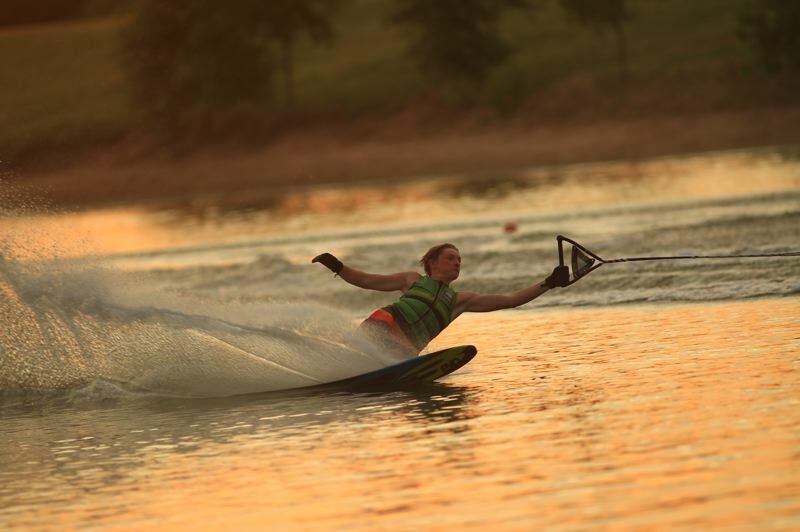 The following weekend, Aug. 5, he broke the Northwest Region slalom water-ski record at a tournament held at Warman Lake in Vancouver, Washington. Getting aroung ball obstacles in the water becomes more difficult as the water-skier's rope is shortened. After maneuvering all six balls at 35 feet of rope, he rounded two balls at 38 feet. The previous record was set in 1991 at Warman Lake when a skier completed two balls at 35 feet. Maitland's great scores at these two tournaments moved his ranking to No. 1 in the world and the top seed going into the 76th Water Ski Goode National Championship held at Mystic Lakes Ski Club in Maize, Kansas. In the final round, he and the No. 2 seed had to ski again to determine who placed second, which the young man from Orlando, Florida, won. In a sport dominated by the south it was exciting to see a teen from the Northwest in the hunt for the championship.